Love this TOMMY HILFIGER Boys Color Block Jacket & Jeans for Spring Summer 2018. 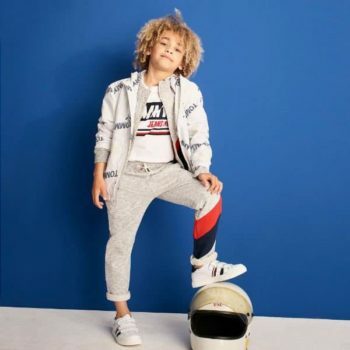 Supper cool streetwear look for boys featuring this eye-catching jacket with the designer’s iconic red, navy blue and white with a bold Tommy on the back. The other side is in navy blue, with white stripes on the ribbed collar. Looks perfect with a pair of faded Tommy Jeans. Inspired by the Tommy Hilfiger Men’s Collection.